Trauma is an integral part of human life. We have all had trauma to varying degrees, some more severe than others. On the severe end, think domestic violence, war, physical and emotional abuse, sexual assault or loss of a loved one. But trauma can also be more subtle maybe caused by a divorce or a minor accident. In fact, life starts with a trauma called birth. Could you call it anything else, when you are trying to squeeze your head through a tight canal? Looking at the definition of the word, trauma is a deeply distressing or disturbing experience. Our brains and nervous system can get severely impacted causing the body to go into fight, flight or freeze mode. This in turn can cause hormonal imbalances, digestive issues and so much more. Clearing trauma out of our tissues is an integral part of healing ourselves. Bringing attention and intention to it brings freedom to our soul and aliveness to our body. Schuyler shares with us her own journey from trauma through alcohol and cigarette addiction to a healthier life. She also shares what it takes, from a yogic and Ayurvedic perspective, to heal trauma. Become aware: To be more specific, become more aware of your body. Where do you hold tension? Where in your body do you hold discomfort? What is your pattern of holding when you get triggered? Do self care practices: Start with any other self care practice that appeals to you and gets you in your body. Schuyler suggests to start with 2 minutes legs up the wall or a short, daily self massage practice with loads of oil. The word oil in Sanskrit is snehana and means both oil and love. Thus by doing oil massage we are anointing ourselves with love. Adjust your posture: change your breathing pattern, and the way you stand and sit. You cannot be sad if you stand up tall and your breath is full. You cannot be depressed when the corners of your mouth are turned into a smile. 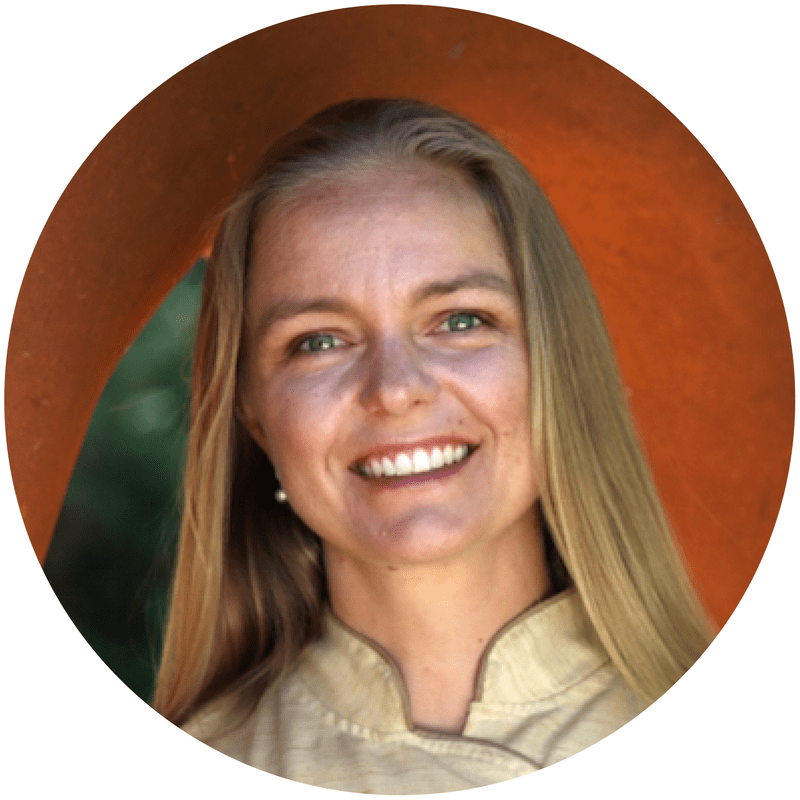 Schuyler Bright, CAS, E-RYT500, CMT, PKS is a Hatha Yoga teacher, Ayurvedic Practitioner, and massage therapist. She has healed her own trauma holistically using Yoga, Ayurveda and Massage therapy. Schuyler has taught thousands of students over the past 15 years in her green yoga studio, Yoganic, in San Diego, at gyms and various centers for the underprivileged. She has developed and taught programs for SPIRIT Peer Empowerment Center (for the mentally challenged/ disabled), Golden Empire Nursing Home, Hospitality House (homeless shelter), Common Goals (recovery center), Nevada City Veterans Hall, CalWORKS (Welfare-to-Work), Wayne Brown Correctional Facility, Domestic Violence Sexual Assault Coalition, and Sierra County Drug Court. Needless to say Schuyler has a few things to say about how to heal trauma holistically. Besides being a Certified Domestic Violence and Sexual Assault Counselor, and teaching women’s self defense classes with RAD Nevada County, she also offers Ayurvedic Health Consultations for clients in her private practice and leads Yoga Alliance certified teacher trainings for holistic trauma recovery. She is a continuing education provider for Yoga Alliance and National Ayurvedic Medicine Association, and is certified as a Yoga Therapist (C-IAYT) by the International Association of Yoga Therapists.